“One more cookie, one more cigarette.” So said David Fry, the last holdout in the armed occupation of a federal wildlife refuge in Oregon; and with a final “alrighty then,” he surrendered on Thursday without incident. That there was a peaceful denouement to the 41-day siege that created so much potential for bloodshed is a credit to federal law enforcement authorities. They showed restraint in sitting out the armed activists, but did not waver on the need to bring to account those who so willfully and flagrantly broke the law. 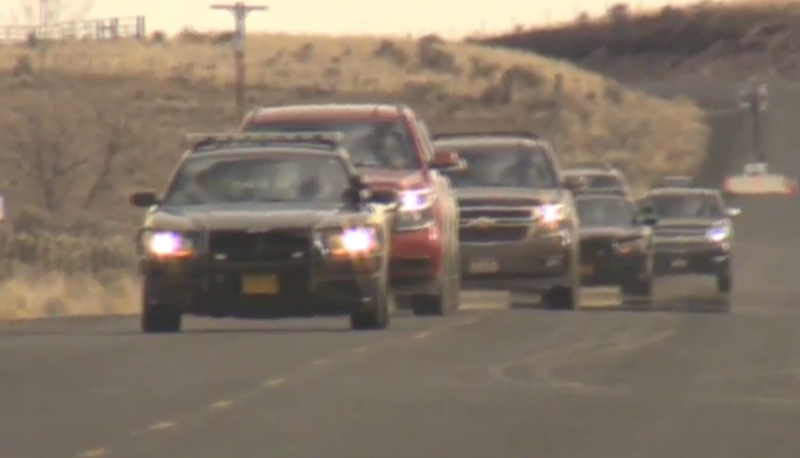 The surrender to FBI agents of the last four anti-government activists who staged a takeover of the Malheur National Wildlife Refuge to protest federal land management policy came after tense negotiations that played out live on YouTube. The events gave the public an up-close view of law enforcement at its best in deescalating a volatile situation. It was smart to involve those seen as sympathetic to the protest’s cause, such as a gun-toting Nevada legislator, in the final negotiations for peaceful surrender. The FBI clearly had learned lessons from the bloody sieges in Waco, Texas, and Ruby Ridge, Idaho, in the 1990s; a patient approach in letting the Oregon siege play out and burn out proved far more effective than a SWAT team assault. For those involved in the occupation, that now means facing federal charges. Posted: 2/15/16 at 8:46 AM under News Story.